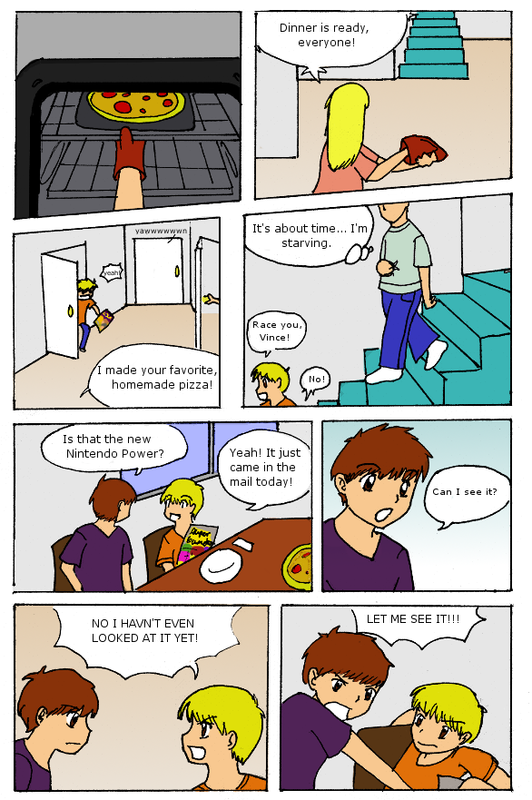 TerraEarth - Comic - Episode 1: Origins - Act 2: Only an Illusion? Act 2: Only an Illusion? 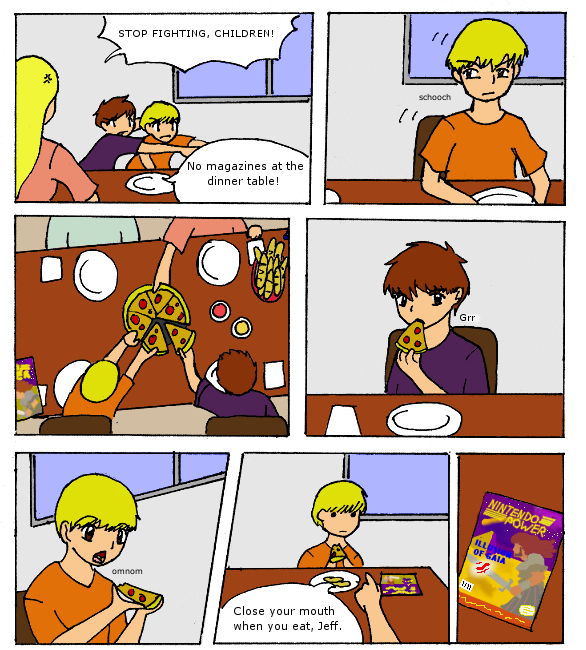 The TerraEarth Comic is based off of fictional and non-fictional events. Episode 1, Origins, tells the story of how a group of fictional characters get pulled into a world of non-fictional fantasy. This episode will also serve as an introduction for all of the main characters. 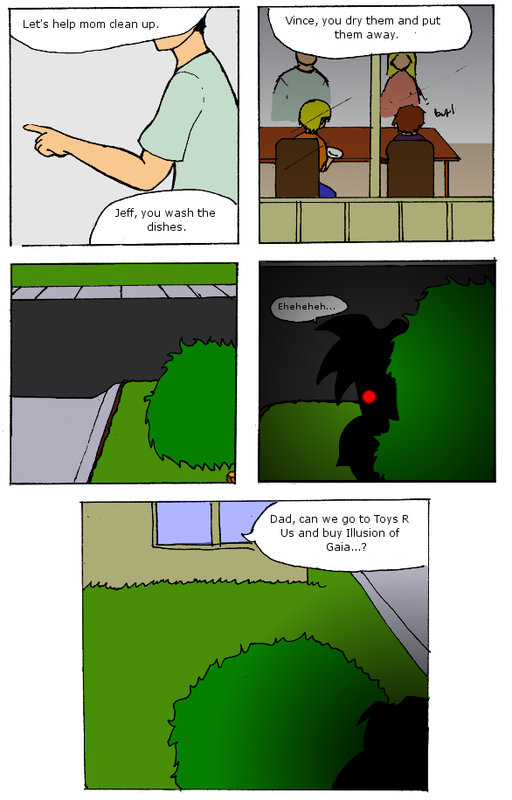 Act 2, Only an Illusion?, continues to build on the personalities of Jeff (boxxleman), Vince (RPGlunatic), and Dad (Jeff and Vince’s father). It also introduces Mom (Jeff and Vince’s mother), the wife of Dad. The day is September 20th, 1994. Illusion of Gaia has just been released in stores. 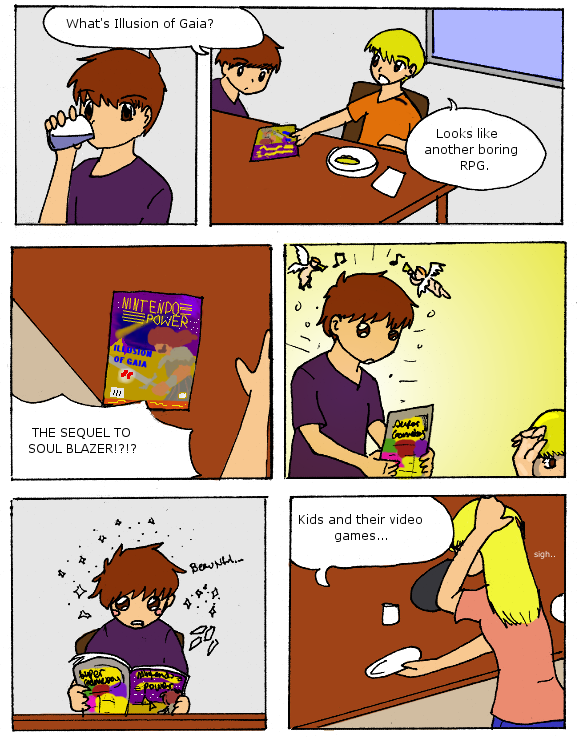 Jeff and Vince are at home and have no idea that a sequel to Soul Blazer has been released until Vince browses the latest Nintendo Power magazine. Can you find three hidden items from the Soul Blazer Trilogy? I love this episode! I’m sure the events and comments could be heard around the average American dinner table. Makes me want to make homemade pizzas and have our sons over to hear their discussion about video games to relive the good ole’ days! I hope the shadowy creature in the bushes is a friendly dog named Illusion who is craving homemade pizza! Is the next part coming out? I’m really liking where this is going so far.